After so many years of hearing about the paperless office, aren’t we well on our way to achieving this already? Well, according to the global community of information professionals, AIIM, yes – and no. 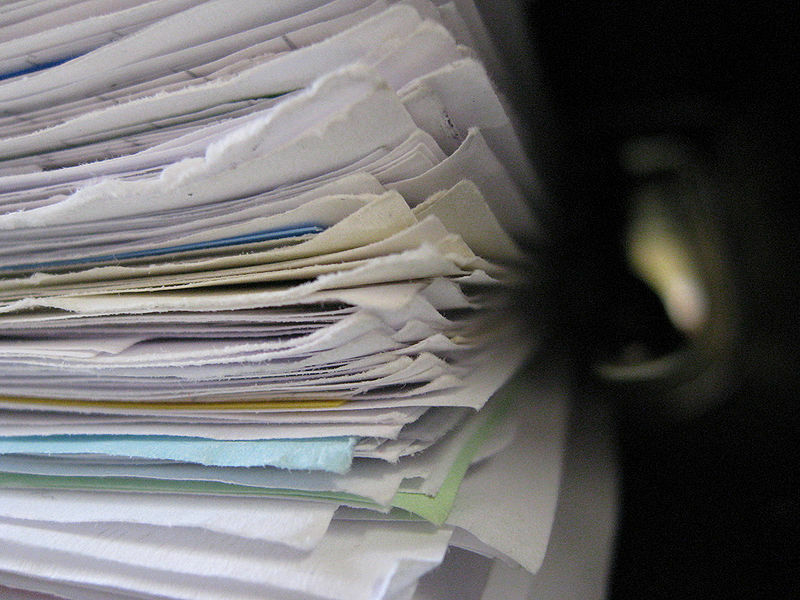 In their Industry Watch Report “Winning the Paper Wars”, 41% of participating organizations reported that paper is being reduced…but in 19% of organizations, the use of paper is still increasing. What are we hearing? How can paper be increasing? And what about the 59% of organizations where paper is NOT being reduced? Budgets – yes, lack of budget is still being cited as a reason not to automate processes. But with cloud and mobile technology enabling lower costs, flexible pricing models – such as pay-per-scan or volume pricing – this brings the possibility of automation to even the smaller organizations. Perception – especially among SMEs (organizations with less than 250 people), DM and ECM are still viewed as high ticket, enterprise solutions. Clearly, there needs to be more education for this segment – SMEs are (pleasantly) shocked when I show them how cost-effective a cloud-based capture and process solution can be for their business. Digital to Paper? – it isn’t logical, but yes, many organizations still print documents which have already been digitized as part of an automated process. Why? Oftentimes for signatures or other approvals, sometimes for edits or review. Digital signatures and imaging tools can ensure that once a document is digital, it stays that way. The benefits of digitizing documents and automating processes are clear – but all of the ongoing surveys and analysis shows that this is still a relevant topic for many businesses. 10% – According to an analysis of client onboarding in the banking industry (conducted by Cornerstone Advisors), only 10% of clients who start a new account application process actually finish it. This is a staggering number – which conversely means that 90% of applications are abandoned somewhere during the process. Some applicants may be rejected, yes, due to credit history or other issues. However, how do you explain to a millennial customer – who is used to next day service from Amazon – that it will take 3-4 weeks to open a new bank account? Likely, he or she will look for a bank which can move things faster. 100 for every 112: 100 is the number reported by branch banks of accounts closed per month to each 112 new accounts opened. That’s right – banks opened 112 accounts to gain a net of 12. That’s a significant amount of churn. 700 & 350 – These recent figures from a McKinsey study highlight that – out of the (average of ) 700 end-to-end processes in a bank – processes such as new account opening, mortgage handling, account information changes – approximately 350 – or half of the overall processes – can be fully automated. 90% – Again, according to McKinsey, by digitizing information – intensive processes, costs can be cut by up to 90% and turnaround times improved by several orders of magnitude. Examples span multiple industries: for example, one bank digitized its mortgage-application and decision process, cutting the cost per new mortgage by 70 percent and slashing time to preliminary approval from several days to just one minute. In my follow-up blog, I’ll share insight from our clients and partners about proven ways to accelerate document automation in any organization. Great insight, Jennifer. Thanks for mentioning our report which will be updated for 2014 in November.